If one of the reasons you are making an estate plan is to provide for the care of your pets, you may have questions about how to fund a pet trust. Making a pet trust is only part of the process to ensure your pets are not abandoned in the event of your death or incapacity. You also have to make sure there are sufficient funds available, by funding the pet trust. 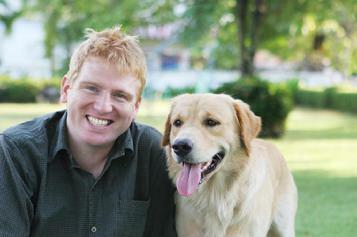 There are numerous ways to fund your pet trust. If you don�t currently have enough assets to fund it, but have a life insurance policy, you can name your pet trust as a beneficiary of the policy. If you don't own a life insurance policy, it is one of the best ways to fund a pet trust, so contact an insurance agent to learn about affordable options. Other ways to fund the trust include naming your pet trust as beneficiary of your bank accounts and brokerage accounts by using pay on death accounts or a transfer on death form, and transferring personal property into the pet trust when you execute the trust document. Talk to your estate planning attorney, financial advisor, or insurance agent about the options available to fund a pet trust. What Happens to Trust Funds After Pet Dies? In the pet trust document, you should name a final beneficiary or beneficiaries to receive the money or property left in the trust after the funds are no longer needed for the care of your pets. The final beneficiary can be anyone you choose. An attorney can help you name beneficiaries in a manner that is consistent with your overall estate planning goals. You may wish to provide that the remainder in the trust passes to your living heirs or the pet guardian or caretaker who cared for your animals. You can also choose to leave the remainder to an animal shelter, the pet retirement home you chose to care for your animals, or another type of charity or foundation. For a list of charities that benefit abandoned pets and animals, see Animal Charities.